Despite our best efforts over the holidays, it’s not possible to eat every single bit of food that’s in the house. Inevitably, there will be leftovers. And tons of waste. Check out the staggering numbers for bread below – and they only represent the United Kingdom. But with a little ingenuity and know-how, those leftovers might turn into a thriving business. That’s exactly what happened to one dad of two in England, who, along with his food activist friend, turned the excess of the UK’s wasted bread into a new beer, and that beer launched a successful brewery, Toast. “The idea was to provide a tasty solution to the shocking daily waste of bread. 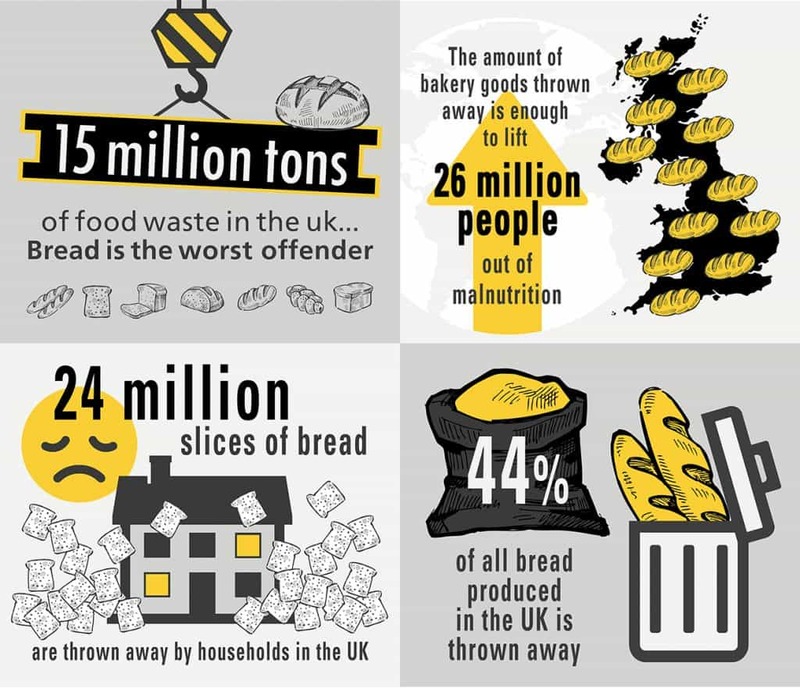 We estimate that 44 per cent of all bread is thrown away in the UK,” Rob Wilson told The Sun. Together with co-founder Tristiam Stuart, who had the idea to turn bread into booze after he visited Brussels and sampled Babylone, a Belgian beer that uses the same process, which has been around for centuries. Sorry, millenia. Toast was inspired by a 4000-year-old Mesopotamian beer practice, and thus far produces a Pale Ale, a Session IPA, and a craft lager. Each bottle contains the equivalent of a slice of bread – leftover bread they gather from supermarkets and delis – and has a 4.5% ABV. But the decision paid off, as Toast – which was started with savings and crowdfunding – now turns over more than 1 million pounds a year. I guess you could say it’s his bread and butter. And Wilson still makes time for his family.